Only suitable for inward opening doors. 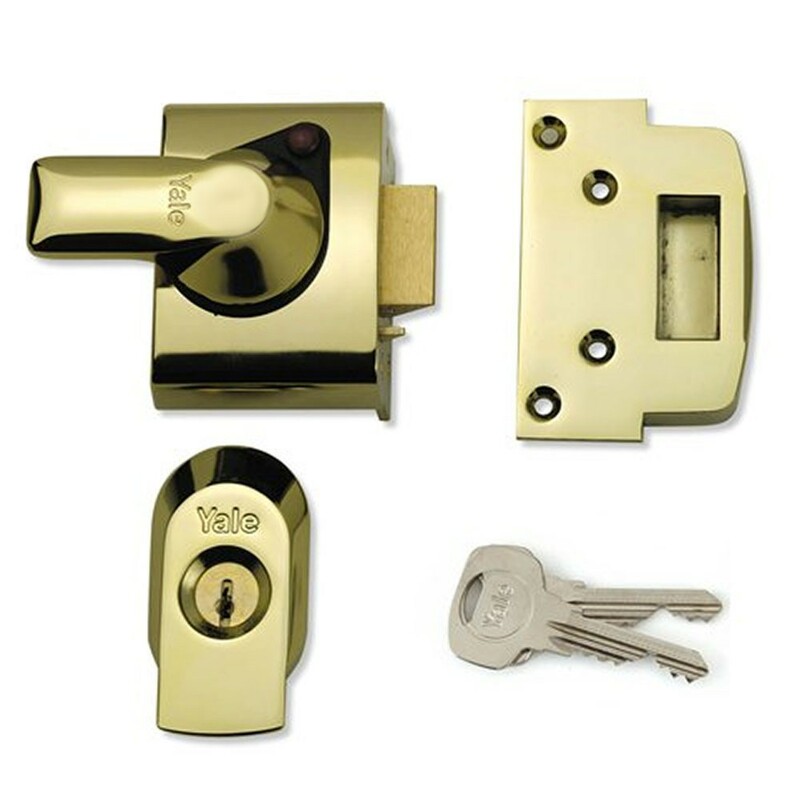 The Yale BS4 emergency escape rim lock offers the maximum level of protection against known attack methods. The internal handle cannot be locked from the inside allowing for ease of escape in case of emergency. It is supplied with high security TS007 6 pin rim cylinder which is anti-drill, anti-pick and anti-bump. The snib can be used to deadlock or holdback the auto-deadlocking latch. It complies to BS EN 12209:2003 & BS EN 1303:2005 and is secure design approved, hence it is recommended by the police. The Yale BS4 emergency escape rim lock provides maximum security and comes with a 10 year guarantee.